Sponsored prizes, VIP reserved runway seating & guest tote filled with goodies! Stay tuned to FB & Insta for all the details. The Canberra Wedding Fair is ready to flourish on Sunday 18 August 2019 as we celebrate 10 years in the nation's capital. 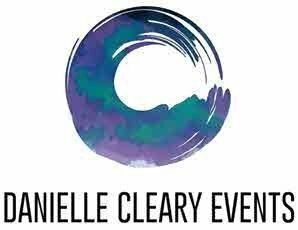 You will be presented with a collaboration of new ideas & concepts, incorporating some of Canberra & the surrounding regions market leaders in Weddings, Events, Travel & Lifestyle, in an immersive, holistic & experiential journey. The Fair will incorporate sensory & abstract elements with a blend of the arts in venues, catering culinary delights, pop up cart treats, photographic galleries, fashion & beauty trends, live music & entertainment, decor styling, travel & lifestyle. - a chance to win an Outrigger Resort, beachfront bliss Fiji getaway valued @ $2000 (any online ticket purchased prior to Sunday 18 August 2019 will go into the draw to WIN). Whether you're newly engaged, preparing for an event, looking for a getaway, love food & live music or just have a passion for fashion. Come along for all the fun of the Fair!